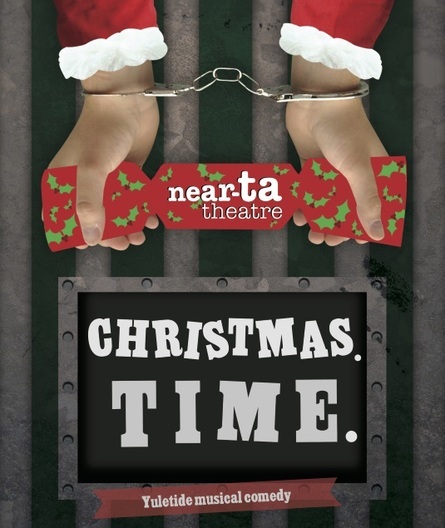 Home » Events » Near-ta Theatre : Christmas.Time. Bringing bucket loads of Christmas spirit and festive cheer is Near-ta Theatre’s yuletide comedy, Christmas. Time. Charlie and Toby are feeling low, and why wouldn’t they? It’s Christmas Day and they’re serving time at Her Majesty’s pleasure. But why shouldn’t they be having a Merry Christmas in spite of their incarceration?What’s stopping them from creating Christmas around them? Absolutely nothing! And so they set off on their festival of carols, Claus, Christ and custody! Written and performed by Daniel Richards and Ciaran Clarke, directed by Simon Harvey (o-region, Kneehigh), Christmas. Time. is a musical comedy for all the family and is becoming a fun, festive and fantastically funny Christmas institution!